Sail down the Danube, explore the Rhine, relax on the Main. Discover quaint towns, hidden gems and castles galore – all on a European River Cruise! Hundreds of rivers and their tributaries cross Europe: the incredible Danube, Dnieper, Don, Elbe, Loire and Oder being only a mere but stunning handful of them. Europe is the perfect balance between ancient and modern, and the best way to discover it is by river. European river cruises along the Rhine, the Main, the Danube and the Seine are bound to feed your appreciative appetite for the wonders of Europe. With the limitless load of tourist attractions throughout this area, you can rest assured that you will discover new and exotic landscapes every time you return. A river cruise will take you to the doorstep of the historical and architectural marvels that Europe has to offer. Journey to Amsterdam, Cologne, Vienna, Budapest and much more to become aware of the prominence of the contemporary versus ancient features that permeate Europe. Visit all the highlights of the legendary Rhine River including charming castles and experience the lush landscape of the Black Forest region. Discover grand cities and quaint villages along the Danube and discover the natural beauty of Germany along the Elegant Elbe. Cruising European rivers in summer allows for long days and warmer weather perfect for sightseeing - but winter cruises offer their own charm with snow covered buildings and enchanting Christmas markets. It's a perfect all year round cruising option. For sophisticated river cruises with their own programme and refined atmosphere try cruise lines like Uniworld or Tauck. For an authentic European river cruising experience book an APT cruise, a home-grown Australian company. Step on board the Viking Mani as she takes you from Amsterdam through Cologne to Basel. Wake up in a new destination every morning! Visit the quaint and cheerful Strasbourg, the storybook German fairy-tale with the classic French twist. The Mani has sun deck with 360-degree views and restaurants and an observation lounge with floor to ceiling windows to ensure that you get the most scenic of tours along the way. Take a relaxing cruise across Central Europe with A-Rosa Donna as she takes you from Germany through Austria, Hungary, Slovakia and back again. Soak up the amazing Austrian atmosphere and visit one of the many palaces including the Schonbrunn Palace or Belvedere Palace Museum. In the evenings when you get back on-board you can choose to dine at your leisure on deck on in the restaurant. Visit the Fisherman's Bastion in Budapest for a gorgeous view of the city. The most scenic of river cruises from Tulcea to Budapest featuring all that the historically rich River Danube has to offer. Visit exciting destinations in Romania like Sulina and Oltenita. Cruise the awe-inspiring Iron Gates, the Danube gorge that separates Serbia and Romania. At the end of your exciting travels, visit the world famous Széchenyi Spa, the public bath built in 1913. A trip to Budapest wouldn't be complete without a stop here! Comfortable walking shoes are essential so you can explore to your hearts content! 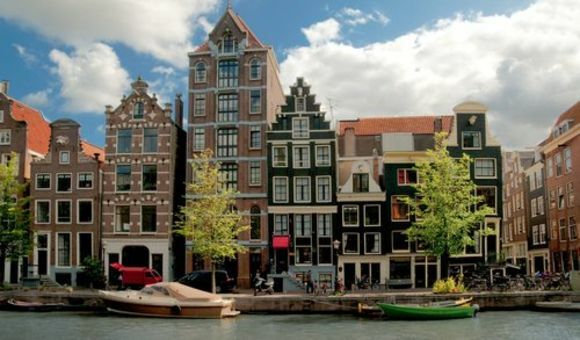 Amsterdam is a European cultural hub, known for its diverse culture and laid-back attitude. Canals criss-cross the city, and boat tours are a great way to explore. However modern the city may be today; the capital city of the Netherlands offers an abundance of historically significant sights. The Van Gogh Museum and Rijksmuseum offer an unrivaled collection of artworks, while a visit to Anne Frank’s House is sure to provide an unforgettable insight into the dark history of WWII. Whether explored by day or by night, a trip to Amsterdam promises to offer something for everyone. Hungary's capital, offers a unique cultural experience to visitors. Arrive in style along the River Danube, the focal point of the city which was previously used as a means to divide the city into the former cities of Buda and Pest. Budapest has become synonymous with Thermal Baths and architecture due to the various architectural styles found throughout the city. Styles include Neo-Gothic buildings such as the impressive Parliament and Budapest's beautiful Renaissance-style Opera House. The Chain Bridge which provided the age old connection between Buda and Pest is highly recommended to visitors to the Eastern European city. Vienna, can be described as being grand and elegant, while still managing to radiate a vibe that is both modern and contemporary. Vienna's City Hall with its Gothic style of architecture is a main feature of the city and plays host to many events, and also provides the perfect backdrop for the famous Christmas markets. Cafés have always been a key feature of Viennese culture, with numerous cafés such as the historic Café Central, which has links to notable writers, being a popular spot for tourists. Cologne is located in the German state of Nord Rhine-Westphalia and enjoys a great location along the Rhine River. Cologne has much to offer visitors outside of the renowned Gothic Cologne Cathedral, where visitors can enjoy panoramic views over the whole city from the tower of the Cathedral. Cologne is also home to the Schokoladenmuseum which allows visitors to learn about the process of making chocolate while also offering delicious samples. Cologne also has a love-lock bridge of its own located by the Cathedral, where many visitors come to add the the collection of padlocks while taking in stunning views of the River Rhine. The city of Rüdesheim is a UNESCO World Heritage Site in the Upper Middle Rhine Valley, and is one of the most popular tourist areas of Germany. Besides the beauty of the city, Rüdesheim is known for its excellent wine, which can be tasted in one of the many wine bars. The town has many interesting landmarks of note including Niederwalddenkmal, a commemoration of the end of the Franco-Prussian War, which invites spectacular views of the city. Seilbahn Rüdesheim offers a cable car ride up the mountain and towards the Niederwalddenkmal and over the vineyards boasting wonderful sights so have your camera at the ready. The city of Koblenz is situated in Rheinland-Palatinate, at the confluence of the Moselle and Rhine. Koblenz is also one of the oldest cities in Germany. The city is often referred to as the 'Gateway to the Rhein' and is in very close proximity to numerous Vineyards and Castles, each synonymous landmarks of the region. Koblenz itself is known for the impressive Deutsches Eck monument located by the banks of the Rhein. Equally impressive is the Ehrenbreitstein Fortress, located in the hills overlooking the city. As the seat of the Council of Europe, the European Parliament and the European Court; Strasbourg is one of the most important centers of the European Union. The French city is located near the border with Germany, therefore much German influence can be seen throughout, particularly through the architecture of the city. Of particular interest is the Old Town, which is a World Heritage site, and the Cathedral Square, one of Europe's most beautiful city squares. Due to the numerous channels that meander through the city and the picturesque half-timbered houses, the city offers a unique charm to visitors. Why not explore the city from the water by taking a boat tour? Paris is the capital of France and is crossed by the River Seine. There are numerous monuments and landmarks worth seeing in this busy city. Certainly the most famed landmark is the Eiffel Tower, atop of which you can enjoy a beautiful view of the city. A visit to the home of the Mona Lisa - the Louvre is a must for art enthusiasts. Why not take a walk along the famed Champs-Elysées boulevard? at the end of which you will find an equally famous attraction - The Arc De Triomphe. There is so much to see and experience in one of Europe's cultural capitals and most popular tourist destinations. The city of Würzburg is located on Main and is Bavarian city of over 100,000 residents. Home to the oldest university in Bavaria - Julius-Maximilians-Universität founded in 1402, it's among the ranks of classic German university towns. Würzburg is known for it's extravagant buildings and architecture. Die Residenz or The Residence is a UNESCO World Heritage Site, and is well renowned for its frescoes and beautiful paintings. It's a staple on any tourists agenda on a visit to the city. 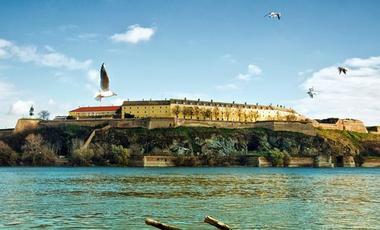 Visit the Marienberg Fortress, home to the most stunning of gardens for a wonderful panoramic view of Würzburg. Bamberg is an economic center of Upper Franconia located in the state of Bayern. Since 1993, the historic city center of Bamberg has been a UNESCO World Heritage Site and is the largest intact preserved city center in Germany. The city is known for its longstanding tradition of producing beer as well as the quaint buildings dotted along the riverside. Some of the most picturesque buildings include the Altes Rathaus or town hall and the Bamberger Dom. For a spectacular view of the red-bricked houses from above, take a walk or the city bus to St. Michael's Monastery. Bamberg is the cheerful little town that has stepped right out of a fairy-tale. Basel is a swiss city located along the banks of the Rhine, in close proximity to both France and Germany. 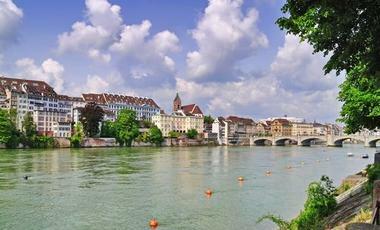 Basel is known for a combination of both old and new, with a substantial Old Town in addition to many urban areas. Many of the best-known attractions are located in the Old Town around the Marktplatz such as Basel's Rathaus amd the Palatine terrace, which lies on the Cathedral Hill. There are also a number of museums such as the Museum of Cultures. The Münster Cathedral offers stunning views over the city of Basel. Bordeaux, in southwestern France is known in particular for the wine produced in the region, and has undergone rapid development in recent years. Bordeaux is characterized by palatial architecture and has a late-baroque arrangement of its squares and streets. Place De La Bourse square, has long been a symbol of the city and is a popular visitor spot. La Cité du Vin is a popular attraction for those looking to increase their knowledge of wine and its connections to french culture. Bordeaux also offers a wide range of public parks and gardens such as the beautiful Botanical Gardens. In the north of Belgium, along the Scheldt river is Antwerp, a city known worldwide for the important role it plays in the processing and trading of diamonds. Antwerp has its very own Diamond District, visitors can partake in walking tours to learn more. The historic center of Antwerp is characterized by many well-preserved buildings from the late Middle Ages, Renaissance, Baroque and Art Nouveau periods. Antwerp is also known for the vast array of markets which take place in the city, offering items such as antiques, flowers, local produce and much more. Belgrade is the most populous city in Serbia, with an estimated 1.6 million inhabitants. Furthermore, it is also the economic, political and cultural capital of the country. The city offers theaters, music institutions, the aviation museum, monuments and 65 parks! Serbia has had a turbulent past, and visitors are reminded of this fact throughout the city, with evidence of bombed government buildings and Communist blocks. Visit the Nikola Tesla Museum to see cool sci-fi - type attractions along with Tesla’s ashes! The Kalemegdan Citadel has been destroyed and rebuilt no less than 40 times. European Rivers European River cruises are an absolutely perfect way to see the majestic cities dotted throughout Europe. Cities such as Amsterdam, Cologne, Vienna and Budapest artfully balance the contemporary and the ancient. Witness the enduring splendour and refinement of the Old Europe with European river cruises along the Main, the Rhine, the Seine and the Danube. 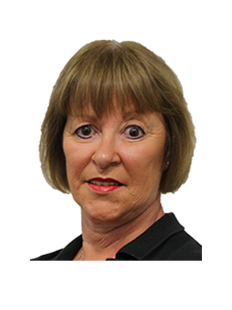 Our expert team will be delighted to advise you on routes and excursions, so don’t hesitate to call! The European river cruises we provide will doubtlessly be an unforgettable journey along these great waterways. The Danube is one of the most popular rivers in Europe for cruising, which is no surprise considering the stunning cities which lie upon its shores. Prague, Vienna and Budapest all lie along this mighty river artery and a wide range of shore excursions will assure you truly get a sense of these wondrous places. Vienna’s imperial architecture and refined culture are mirrored in the two sides of Hungary’s capital, Buda and Pest. 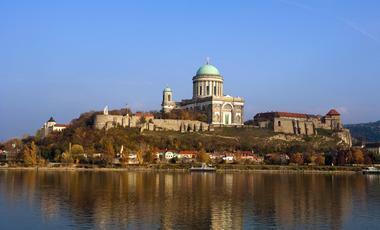 The Danube also boasts an array of quaint villages which have their roots in small fishing towns. The riparian backdrop of these shore side destinations holds the essence of a European river cruise, so be sure to do some research to get the most out of your trip! The shores of the Rhine are studded with castles both impressive and imposing. A cruise down the Rhine allows you to witness the extensive Black Forest region and also cities like Amsterdam, Basel, and Cologne. The capital city of the Netherlands offers numerous museums, vibrant gardens and winding canals which you can experience as part of an on shore excursion. Don’t worry though, if you’d prefer to explore ancient riverside ruins that are also a possibility. On a Rhine cruise you will see a lot in a relatively short space of time, which is ideal for those who want to get a taste of Europe. All our European River cruises can be specifically tailored to your needs. If you require flights to and from Europe or travel insurance while in Europe, then call our European River cruise experts who are waiting to help. For more great options on cruise, have a look into our last minute deals and cheap offers. All cruises are available through our cruise experts. Call now on 1300 887 590.